Award Year: 1994 Beginning with the New Deal, Dr. Peterson explores the ways in which political and governmental institutions respond to the stimulus for public action, direct the choice of policy alternatives, and are influenced by various leadership activities. In related projects, two distinct patterns of health care policymaking are studied. The first concentrates on systemic policy change, assessing the debate over comprehensive health care reform in the context of past failures. It emphasizes the role of macro-level changes in interest groups, Congress, legislative political parties, and the presidency in explaining both the enhanced prospects of comprehensive reform in the 1990s and barriers to change. The second deals with normal policy, investigating health policy ranging from incremental adjustments like direct reimbursement of nurse practitioners under Medicare to major issues, such as AIDS. In this realm, the explanation of policy outcomes emphasizes the role of micro-level interactions among elected and non-elected public officials, interest groups, policy specialists, and activists, which vary across policy communities and over time. Mark A. Peterson is the chair of the Department of Public Policy and a professor of public policy, political science, and law at the UCLA Meyer and Renee Luskin School of Public Affairs. He previously held faculty appointments at Harvard University, including as the Henry LaBarre Jayne Associate Professor of Government, and the University of Pittsburgh, with joint appointments in the Graduate School of Public and International Affairs, Department of Political Science, and Graduate School of Public Health. Professor Peterson received his Ph.D. in political science from the University of Michigan. His scholarship on American national institutions, which focuses on the interactions among the president, Congress, and organized interests, includes Legislating Together: The White House and Capitol Hill from Eisenhower to Reagan (Harvard, 1990) and the edited volume (with Joel Aberbach), Institutions of American Democracy: The Executive Branch (Oxford, 2005). He is the recipient of the 2006 Richard E. Neustadt Award for the Best Reference on the Presidency, Presidential Studies Section, American Political Science Association. In the domain of health care policy, Professor Peterson's contributions include the edited volumes, Healthy Markets? The New Competition in Medical Care (Duke, 1998) and (with Peter J. Hammer, Deborah Haas-Wilson, and William M. Sage), Uncertain Times: Kenneth Arrow and the Changing Economics of Health Care (Duke, 2003). A past recipient of an RWJF Investigator Award in Health Policy Research, he is completing a book manuscript entitled, "Stalemate: Opportunities, Gambles, and Miscalculations in Health Policy Innovation." From 1993 to 2002, he was the editor of the Journal of Health Politics, Policy and Law. He is also a member of the "Blue Sky" team, which is leading an initiative for the transformative reform of the U.S. health and health care system. Professor Peterson has been a Guest Scholar in Governmental Studies at the Brookings Institution and, with an American Political Science Association Congressional Fellowship, a legislative assistant on health policy for U.S. Senator Tom Daschle. A member of the National Academy of Social Insurance, he served on its Study Panel on Medicare and Markets. 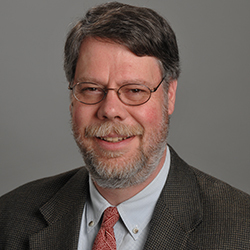 He chairs the National Advisory Committee of the RWJF Scholars in Health Policy Research program and also serves on the NACs for the Foundation's Investigator Awards in Health Policy Research program and Changes in Health Care Financing and Organization (HCFO) program. He is a recipient of the American Political Science Association's E. E. Schattschneider Award and the Midwest Political Science Association's Pi Sigma Alpha Award. Peterson, M.A. Congress, In Health Politics and Policy, 4th Edition, eds. Morone, J.A., Litman, T.J., Robins, L.S. Delmar Cengage Learning, 2008. Peterson, M.A. The Congressional Graveyard for Health Care Reform, In Healthy, Wealthy and Fair: Health Care for a Good Society, eds. Brown, L.D., Jacobs, L., Morone, J. New York: Oxford University Press, 2005. Peterson, M.A. The Politics of Health Care Policy: Overreaching in an Age of Polarizaton, inÊThe Social Divide: Political Parties and the Future of Activist Government, ed. Weir, M. Brookings Institution Press and Russell Sage Foundation, 181-229, 1998. Peterson, M.A. Managed Care Redux. JHPPL, 2002, 27(3): 345-51. Peterson, M.A. From Trust to Political Power: Interest Groups, Public Choice, and Health Care. JHPPL, 2001, 26(5): 1145-63. Peterson, M.A. Health Politics and Policy in a Federal System. JHPPL, 2001, 26(6): 1217-22. Peterson, M.A. The Fate of Big Governance in the U.S.: Not Over, But Undermined? Governance, 2000, 13(2): 251-64. Peterson, M.A.ÊIntroduction: Health Care into the Next Century.ÊJHPPL, 1997, 22(2) 291-313. Peterson, M.A.ÊThe Limits of Social Learning: Translating Analysis into Action.ÊJHPPL, 1997, 22(4): 1077-1114. Peterson, M.A.ÊThe Policy Process in Health Care.ÊAmerican Behavioral Scientist, 1997, 40(3): 341-53. Peterson, Mark. Healthy Markets? The New Competition in Medical Care. Durham, N.C.: Duke University Press, 1998.